NEW! Valentina E. Emma Ensemble @ FaMESHed! 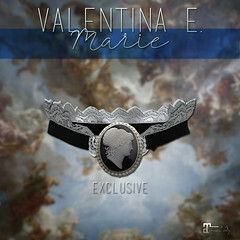 – Valentina E.
NEW! Valentina E. Emma Ensemble @ FaMESHed! 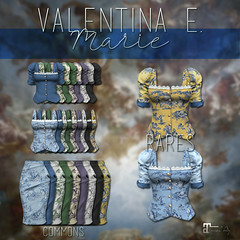 Out now at FAMESHED the new Valentina E. Emma Ensemble! This classic outfit features a knit sweater with preppy white shirt and a fitted, military inspired pencil skirt with brass buttons. Available in four color options for Maitreya Lara, Slink Physique/Hourglass, and Standard Small/Medium Sizes. Don’t miss it! Previous Post Valentina E. Elisabetta Ensemble @ UBER! Next Post NEW! Valentina E. Alexa Ensemble @ MBA!